RM 500/monthly is only valid for those registering before March 2016. 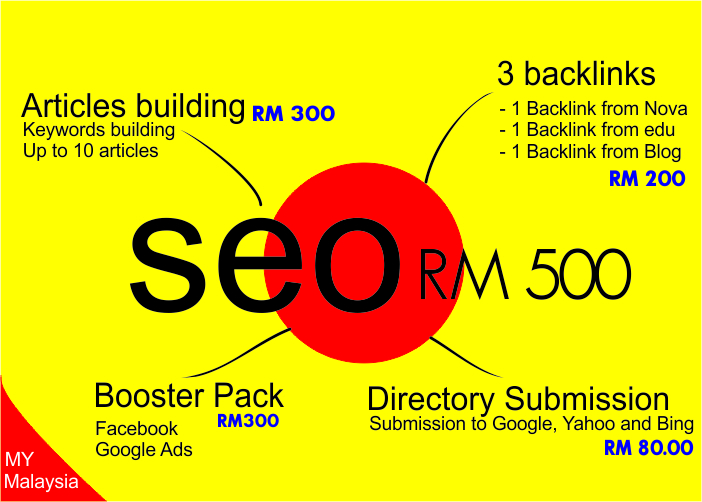 Starting from June 2016, our SEO price above will start at RM 1000. We build using White Hat methodology. This offer is only valid for Kedah, Perlis and Perak. We will be given up 10 dedicated IP along with reputable SSL cert for those who sign up for 1 year plan. Sound too good to be true right.